We have been misled about healthy eating! No one has studied diet longer, nor more successfully than the Asians. There is a lot we can learn from them. White rice is better than brown? Cooked vegetables are better than salad? Dairy is bad for weight loss and bone health? Supplements and detox diets are not necessary? Vegetarianism is not the best way to be? Calorie counting is a waste of time? Sugar substitutes are much worse than sugar? If not, read the book. 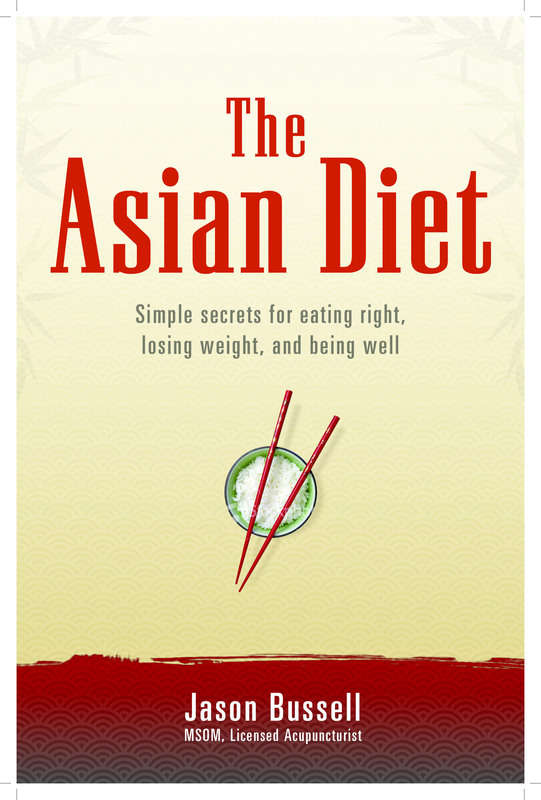 Welcome to the website for the Asian Diet: Simple Secrets for eating right, losing weight, and being well. This book gives readers the knowledge they need to adjust their lives to promote health and prevent disease. One of the father's of Chinese medicine wrote that "In cases of disease or disorder, the physician should first address the diet and lifestyle." In Oriental medicine, it is believed that all symptoms are a manifestation of an inner imbalance. If something is not working properly, that is your body telling you that you are doing something wrong. The most common areas that can cause us to get out of balance are our: Diet, lifestyle, and attitudes. The choices we make in our diet affect us every day, whether or not we are aware of it. This book will make you aware and teach you how to make the best choices for your long-term health and happiness. There are also sections on lifestyle and attitudes; so you will have all the information necessary to start living in balance. The book also presents a basic introduction to Oriental medical theory and includes an index describing the understood actions and properties of common foods. You will be surprised how much of what we are taught about food is wrong. Ever since we have looked to science to tell us how to eat, we have had more obesity and diet-related disease than ever before. Too often, it is the food industry funding the science that concludes that we need to buy a certain food or supplement. No one has studied nutrition longer, nor more successfully, than the Asians. Read the book and you'll understand why our latest, greatest science is pointing us in the wrong direction. Please check out the other web pages, read the book, and take charge of your health to live the best you can. Below is a short video in which the author explains how the wisdom of Oriental Medicine can be used to prevent disease and disorder. While the book is called "The Asian Diet", it also discusses the necessary changes in attitude and lifestyle to promote health.